Croatia’s success in defeat at the 2018 FIFA World Cup in Russia reflects the ‘dared-to-dream’ attitude of Coach Zlatko Dalic. Dalic has been instrumental to take his boys towards the last stage, where they were outclassed by the technically superior French team. 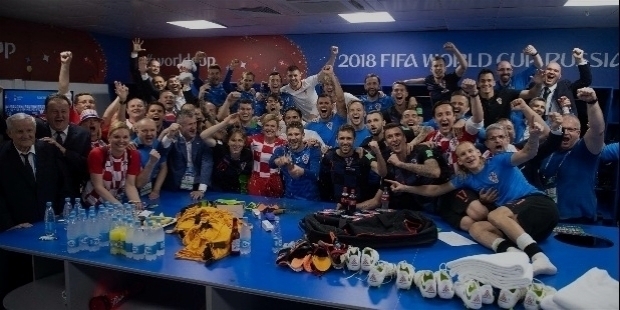 In spite of Croatia’s losing the final, the Croatian players received a heroes’ welcome at home after the World Cup. 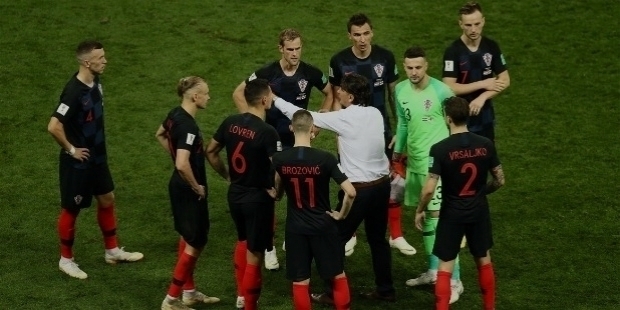 Zlatko Dalic and his boys have bettered Croatia’s previous record at the World Cup by being the runners-up in the 2018 edition. Croatia was the smallest nation to make it to the final, since Uruguay in 1950. As the final whistle was blown, In Dalic's article went to congratulate Didier Deschamps with a hug. Both the Coaches exchange few words. Time seemed stopped for a moment for Dalic and his boys to see the French team celebrating their new found glory. Gathering his players, Dalic instilled confidence and also in encourage the boys by stating that their superb performance has been sensational. They should be proud of their World Cup run. They should not consider the defeat a failure. At the press conference, Dalic stated, “Of course, we are downcast, but I told them 'hold your heads up high. You have no reason to feel dissatisfied, you have given your all and you have to be proud of your performances at this tournament. Chin up lads, if somebody had offered us to be runners-up at the start of the tournament, it would have been fantastic. Sometimes in football you lose, that's football, but we were dignified in our victories and we must be dignified in defeat, we have to respect the score-line'. 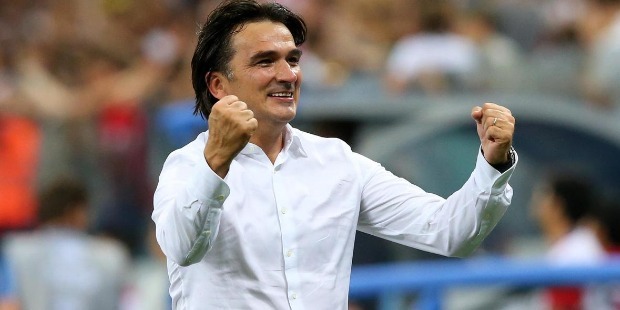 It is indeed commendable how Zlatko Dalic as the Coach built his team into a force to reckon with at the 2018 World Cup. No one would believe that Dalic took over as the Coach of the Croatian team just 9 months prior to the World Cup. The Croatian team was disarrayed and there was no chance for the nation to even qualify for the World Cup. The turnaround in just 9 months speaks high of this man of steel. Coach Ante Cacic was sacked in 2017 due to a series of poor results for the National team. The Croatian Football Federation named Dalic as the Head Coach of the Croatia National Football Team on the 7th of October 2017. 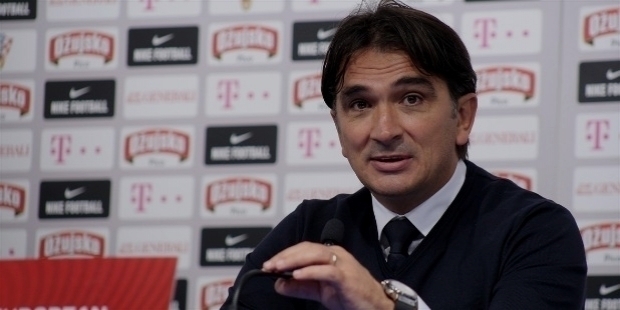 Dalic returned to Croatia with a simple condition – he would sign the contract, only if Croatia qualifies for FIFA World Cup. Dalic was mentored by Miroslav Blazevic, the man who was responsible for the young nation to reach the 1998 FIFA World Cup semifinals. Dalic strongly believes in a long, hard road to recognition and respect on the back of the hard currency of results. It was in 2010, Dalic decided to move to the Gulf to prove his worth as a Coach. Dalic has certainly changed the attitude of his young team. He holds ‘respect’ in the highest pedestal for his training culture of the squad. He did not hesitated one bit to send Nikola Kalinic home, when he refused Dalic to come on as a substitute in the opening match against Nigeria. The action showed Dalic’s character and gained renewed authority with the 22 players left. Zlatko Dalic was born to Ivan and Kata Dalic on the 26th of October 1966 in Livno, SR Bosnia and Herzegovina, SFR Yugoslavia. In 1992, Zlatko married Davorka Propadalo. They have two sons, Toni and Bruno. From 1983 to 2000, Dalic has played for various Clubs as a defensive midfielder. He became Assistant Coach at Varteks. He worked as Club’s Sports Director from May 2002 to May 2005. Simultaneously, he worked as Assistant Coach from 2003 to 2005 Seasons for Miroslav Blazevic, his mentor. In May 2005, Dalic became the Manager Varteks. In his first Season, Varteks won the third place in the Croatian First League and reached the final of the Croatian Football Cup. After his contract with Varteks ended in 2007, Dalic became HNK Rijeka’s Manager. The Club finished fourth in the 2007–08 Season. In the 2008–09 Season, Dali? managed the Albanian champions Dinamo Tirana. The Club won the Albanian Supercup. In February 2009, Dalic resigned after losing two derbies in a row versus fellow capital teams Tirana and Partizani. In 2009, he returned home. He took over his third Croatian football Club, NK Slaven Belupo. In the 2010–11 Season, under Dalic Al-Faisaly qualified for the King’s Cup in Saudi Professional League. It was the greatest success in Club’s history. Zlatko Dalic was named ‘Coach of the Year’ in the Saudi Professional League for the 2010–11 Season by Al Riyadh newspapers. Other prominent Coaches, who were considered for the title, were Gabriel Calderón, Walter Zenga and Eric Gerets. On the 3rd of May 2012, Dalic became Al-Hilal’s Manager. In his managerial debut with Al-Hilal, Dalic led the Club to its sixth consecutive win. It was Dalic’s second big achievement as a Manager. He was ranked as the 13th Best Coach in the world for the month of March 2013. 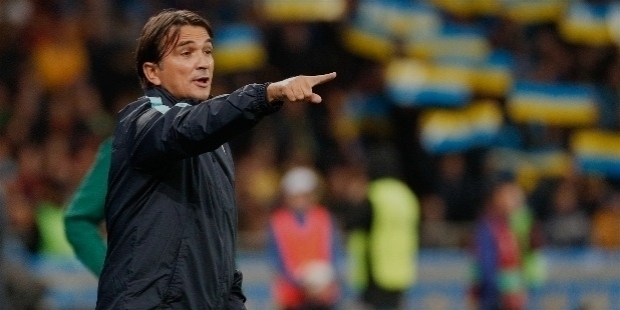 Dalic turned down HNK Hajduk Split’s offer for the position of Sports Director in the 2013–14 Season. HNK Hajduk Split is one of the biggest Clubs in Croatian football. Dalic signed the contract with Al-Ain FC as the Head Coach in the United Arab Emirates. In the AFC Champions League 2014, Dalic led Al-Ain to finish top of their group. It was the first time since 2006 the Club progressed through the group stage. Dalic’s contract was extended for two more Seasons. Al-Ain won the final game of UAE President's Cup against league champions Al Ahli 1–0 on the 18th of May 2014. Dalic’s second trophy in two years in the Middle East was the highlight of his coaching skills. At the end of the first round of the UAE Arabian Gulf League, Al–Ain took the first position with one game in hand to make Dalic win the ‘Best Coach of 2014’ title. In the 2014–15 UAE Pro-League, Al-Ain won their 12th UAE Arabian Gulf League title. With 23 unbeaten league matches in a row, Al-Ain created many records of the Season. Al-Ain conceded fewest goals, had the longest unbeaten run counting 15 matches, the longest winning run counting 8 matches, and the biggest home win versus Ajman Club 7–1. At the UAE Arabian Gulf League Award ceremony for the 2014–15 UAE Pro-League Season Zlatko Dalic was crowned with the ‘Coach of the Year’ title. Dalic’s fourth trophy with Al-Ain as their Coach came with Al-Ain 4–2 win over Al Nassr. Dali? became the best Coach in league's history with the 3–0 win against Al-Ahli Dubai F.C. in the 10th round of the UAE Arabian Gulf League on the 5th of December. After 12 rounds in the 2015–16 Season, Al-Ain won 47 out of 70 matches under Dalic’s leadership, drawing 15 and losing 8 matches. From the 335th ranking in 2014, Al-Ain reached the 122nd rank in the world by December 2015 under Dalic. In Asia, Al-Ain achieved the best position of 5th rank. “Nothing was given to me on a plate, unlike some coaches in Europe, who get big jobs on the back of their names as players. I used to say give me a Real Madrid or a Barcelona and I will win titles, but now I am in the final of the World Cup,” Dalic had revealed earlier. 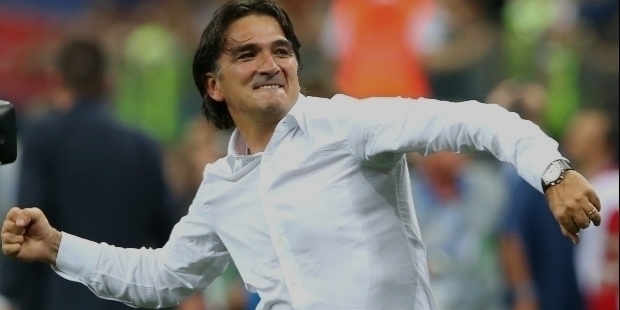 Coach like Zlatko Dalic have dared to dream to achieve the unexpected with hard work and humility. The 2018 FIFA World Cup final will always be etched with Dalic’s name in the history books.